need a quick stitch gift! Fast , fun & easy! 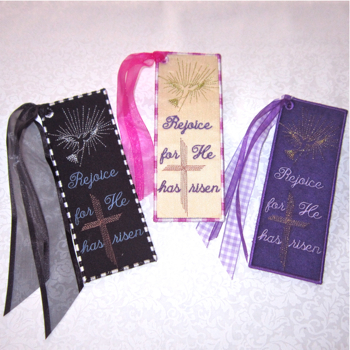 Use your stash to quickly create one of a kind bookmark each and every time. Combine different fabric and thread colors to make each one unique. Delicate in pastels or masculine in dark colors ~ sttich to compliment the receiver. This bookmark is perfect for sending in cards to friends and loved ones. Lift someone up, share hope in cards of condolence or just to say I am thinking of you, So easy to always have a stack on hand , always ready with a gift to send. 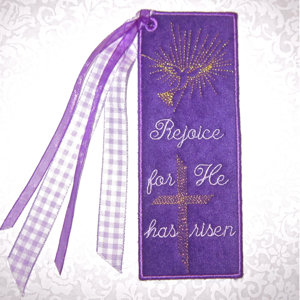 This one stitches so quickly , making it a wonderful choice for crafters!